I'm guessing you might be heading to the beach or the pool sometime soon, so I've rounded up some of the cutest (and most interesting) beach towels. Are you like me? 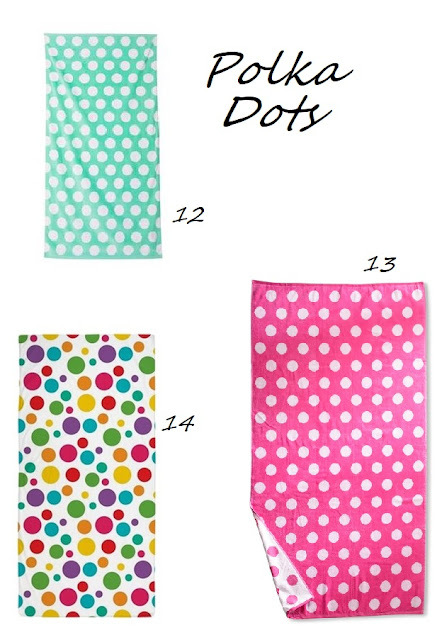 Do you wait until your towels are just about worn out--like you can see through them--before replacing them? 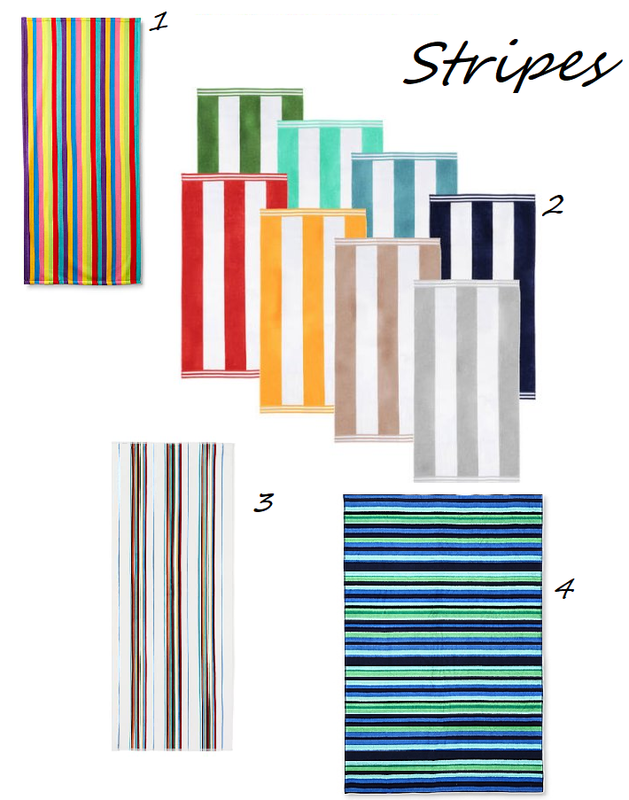 If so, and beach towels are on your to-buy list this summer, maybe today's post will help you out. I think I managed to find something for everyone. The food towels are so fun to me, but the multi-colored dots towel is my favorite. 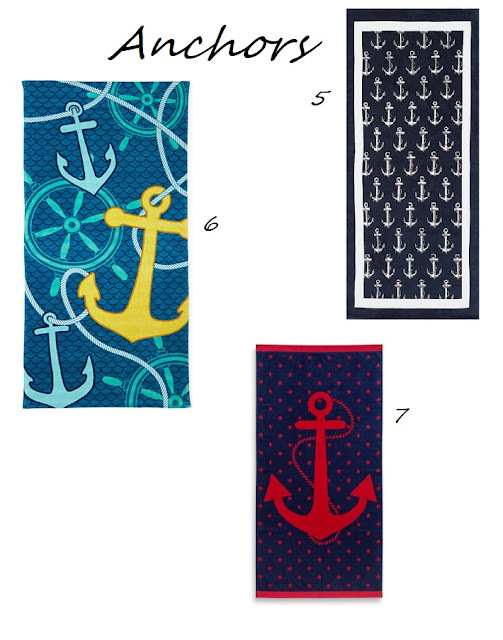 Do you see one you like? 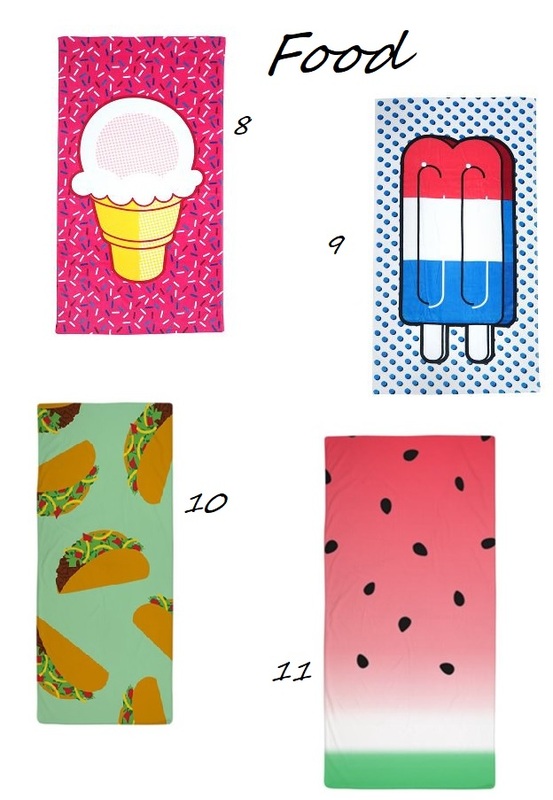 Beach towels also make good graduation gifts--if you're still finishing those up. Shed one for your Momma!